When a thin layer of porcelain is bonded over a tooth, the color, shape and size of the tooth can be dramatically corrected. The appearance is so natural that exact matches can be made, even of a single tooth. This is possible only if the dentist has the proper training, experience as well as a world-class dental laboratory. For smiles it is like “Instant Braces”. Crooked teeth, spaces, overlapped and even dark teeth can be made beautiful. Dr. Howard has been placing veneers since they were invented and then perfected in the 1980’s. Porcelain veneers can be very fragile in the mouth if meticulously placed in the mouth. The key to lasting service is the dentist’s ability to master good bite (occlusion). The way that veneered teeth interact with the chewing function in the mouth determines how long they will last and continue to look good. 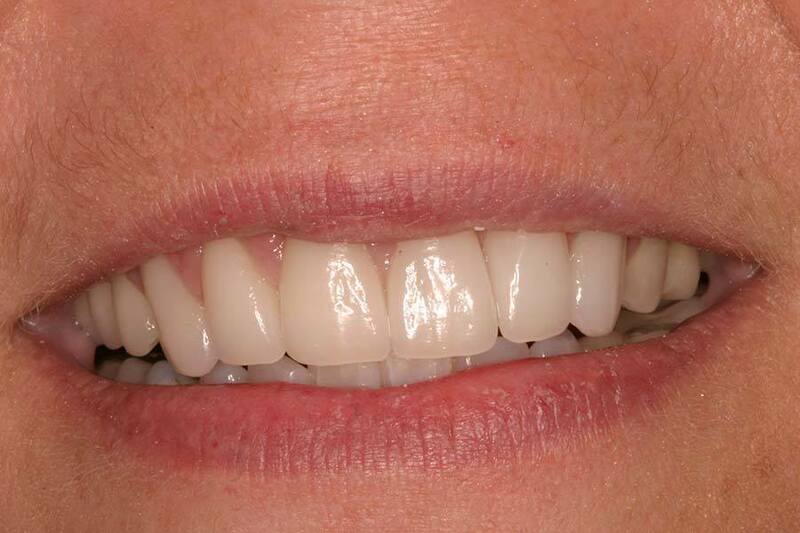 With his extensive knowledge of occlusion, Dr Howard has many porcelain veneer cases that still function well and look great after almost 20 years of service.